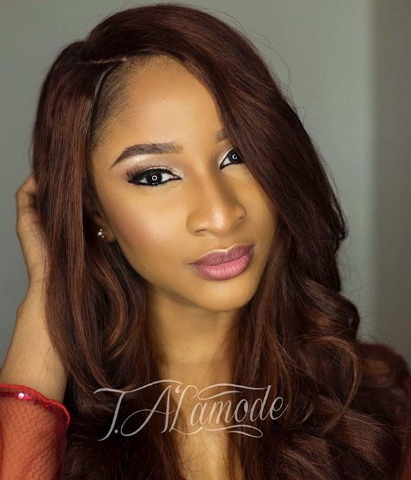 Nollywood actress Adesua Etomi is one of the fast rising Nigerian movie stars who entered the spotlight in 2014. Miss Etomi became a star when she featured in Nigerian cinema movie, Knocking on Heaven’s door in April 2014. She was born to a Yoruba mother and a father of Esan native in Edo State on the 22nd of February 1988 in Owerri Imo state. Her father is a soldier while her mother is a civil engineer. As the youngest of the 3 children, she attended Corona School in VI Lagos for her primary education. When she clocked 13, her family moved to the UK where she completed her studies. The accomplished actress has won five major awards since she started in 2014.